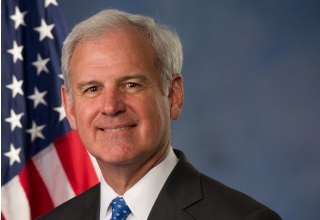 Congressman Bradley Byrne was born and raised in Mobile where he practiced law for more than 30 years. Byrne has served Alabama’s 1st District since 2013. In Congress, Byrne has established himself as an effective legislator by successfully advocating for local interests while also championing a smaller, less invasive federal government. The Congressman currently serves on many committees and caucuses including the House Armed Services Committee and the House Rules Committee.